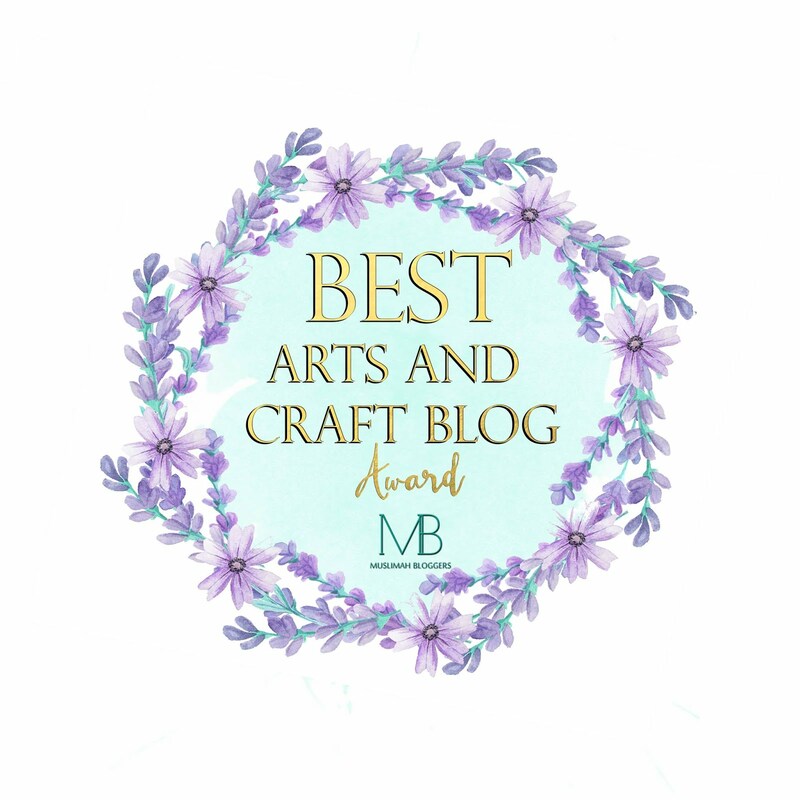 I was approached by another local crafty business (EmbellishBox) and asked if I would like to do a review on her new business venture. She already runs a successful business but has now decided to start a monthly subscription box business as part of that. She also has an Etsy shop too. Subscription boxes seem to be extremely popular at the moment and the fact I love trying new crafty things I took her up on the opportunity to review this for her. I have to say I am honestly so glad that I did as I loved the monthly pack that she posted out and I had the chance to learn a new craft - Paper Cutting. My young children also got involved too, because if you are an avid follower you will know my girls are also very crafty and love to get involved when they can in my work or their own work. Even though I was sent this box to review, all that I write in this post is of my own personal honest opinion. Each box follows a theme, giving you at least 3 printed templates to cut yourself, a self-assembly house to collect and gifts to the monthly theme (The theme this month was Hygge). It's a collection of beautiful things, and the only way to be first to have the new months templates. There will never be a repeat box. During the month, the templates in the box will be exclusive to EmbellishBox members. At the end of the month the templates will go up for sale in the Etsy shop - the cost of the box, including all of the extra items, will always be less than the cost of the templates individually. The boxes start at £18 month to month. Check online for all prices. So what was inside this month? HYGGE GOODIES - Hot chocolate Cone (and candy cane) from Van-illa Treats (www.facebook.com/vanillaTreat), Candle from Berry Bootique (www.facebook.com/BerryBootique), Fingerless Gloves handknitted by various talented people. As a special I was given some colouring in sheets of the designs for my 9 year old daughter to colour. These can be purchased alongside the box if you ask. I already have scalpels and Cutting Mats at home which is to be expected being a crafter, though it is my daughter who mainly uses the scalpel. For this project you will need to have a cutting mat and scalpel with spare blades. You will probably need to use a few blades for each piece of work to make sure that the cuts are nice and neat. I decided to start on the 'Home Sweet Home' design. I have to admit I did panic a bit at first as I have never done this before but after reading the instructions that I was sent from EmbellishBox and also a few youtube videos I found online I was a bit more confident. I personally think I should have tried first on a scrap piece of paper to get used to holding and using the blade. I did make a few little errors and it was impossible (being a novice) for me to do the very fine details and parts of the design, but nevertheless I think it turned out really well. It might not be to clear from the picture but I did manage to cut parts I wasn't supposed too, but don't worry because when you mount the design onto backing paper you can stick the parts back on! If you notice in the top right I cut more from the tree than I was supposed to, but it was remedied later. It was so nice to also stop in between and have a yummy hot chocolate drink which was also provided in the box! The chocolate pack normally includes marshmallows but being Muslim and also vegetarian (recently) I was provided with Maltesers as a replacement. I must say I have never tasted any better hot chocolate drink. I will definitely be trying normal hot chocolate with Maltesers in the future! The hot chocolate was provided by Van-illa Treats, their link is shared above. I was also really happy to receive the gloves. I actually did need a new pair so this was very good timing. Above is a photo of my daughter modelling the gloves with the hot chocolate. My 9 year old enjoyed joining in with the review by colouring in the sheets that I was personally sent. She will be sharing those on her blog at a later date, no doubt. These can be requested as an extra when you place your order. My older daughter is going to have a go at one of the other designs that was included. We also love candles in our house so it was nice to have a different scented candle to light in our cold winter months as part of the package. So my final comments about this box are: I loooooooove it and would definitely recommend it to those who are both new to paper cutting like me and also for those who are experienced as you get a new surprise every month, boxes are never repeated. You also get sent the designs via PDF so you can make more to gift to your friends or family. 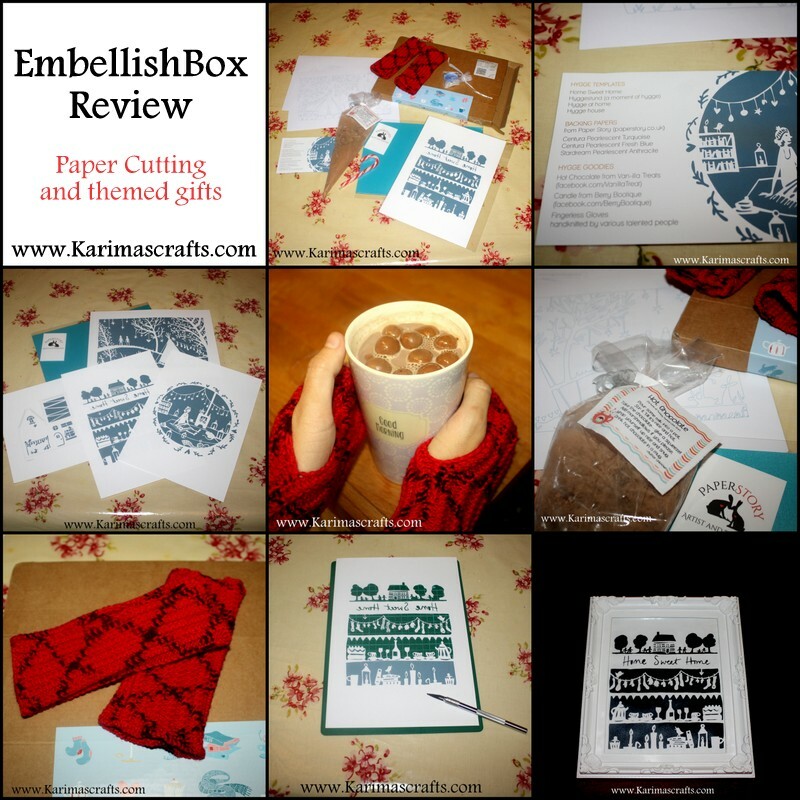 I will definitely be doing more paper cutting after trying this craft out. And so for my finished piece of work. I used one of the backing cards provided which was a silvery colour but the photo shows it more of a black design. I already had a white frame in the house and placed the design into the frame and it is now proudly on display in my Living room. As a special offer to my blog followers I have been given a 15% off Coupon Code: KARIMA15 This is valid until 20th December 2016.